From their first meeting, to their stunning engagement and lavish wedding, to their happily-ever-after, Noah and Emily Carter were meant to be together. Theirs is a special kind of love and they want the world to know. More than a million adoring fans have followed their lives on Instagram since the day Noah publicly proposed to Emily. But behind the carefully staged photos and encouraging posts, their life is anything but a fairytale, and Noahs obsession with social media has ruined everything. But when Noah wakes the next day, everything is different. Emily is gone and the kids are years older. Like Scrooge in A Christmas Carol, bizarre and strange events continue throughout the night so that Noah is certain hes twenty years older, and he is desperate for a second chance. 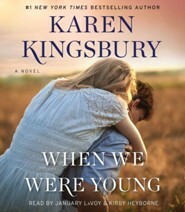 When We Were Young is a rare and beautiful love story that takes place in a single day. Its about the gift of knowing what tomorrow will bring if you really walk out that door today. "While part of the Baxter collection, this standalone will appeal to any readers looking for faith-filled stories concerned with the deleterious effects of social media." 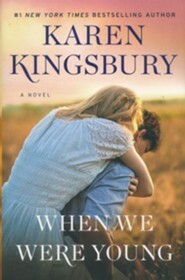 I'm the author/artist and I want to review #4: When We Were Young.